When I became a mother, I stepped into a vast world of unknowns. Millions of women before me had done it and lived to tell the tale, yet it was something so completely foreign to me that I wanted to devour everything I could on the subject. So I did what I do, and I read. I read parenting books and blogs, and I tried to catch a glimpse of what really being a mother was all about. I also started sharing photos and little stories about my girl online. I realized then, that though I had a lot to share about my daughter, I had a whole lot more to share about how becoming a mother was affecting me. My emotions around being in the unfamiliar territory of motherhood poured out online. And while I enjoyed the process of putting my feelings out there, I didn’t expect anyone to actually want to read what I wrote. I was wrong. Instead of feeling alone three weeks postpartum and dealing with an array of wild emotions, I suddenly felt like I could hop online and connect. I felt like I could write about my frustrations with motherhood and my joys, and that women were connecting with my story. 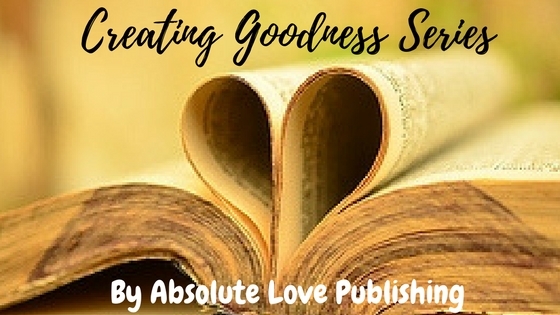 The good, the bad, and the ugly included because that’s what real mothering is about. Writing helped me feel less alone. It helped me feel like I wasn’t crazy. It helped me laugh and work through hard feelings. It also, it turns out, helped others. Over the past ten years of writing online, I have received countless emails that said, “Thank you for writing that. I didn’t know anyone else felt that way.” Or “I thought I was the only one who thought like that.” Over the years of sharing my words, I have come to realize that there is a fundamental need to connect with each other in a space where we don’t feel judged and can be completely ourselves. I think that’s true of people going through any kind of trial or heartache, but I think it’s especially true of motherhood. Women crave a space to be honest, and they are searching for a place to be heard. Motherhood has changed me in ways that I could never have imagined, and it has brought out things in me (both good and bad) that I didn’t know existed. While I could have struggled alone, or continued to feel like I was the only one who hated parenting some days, I chose to write about it instead. And those words, my words, helped others. There is no greater gift than being able to help another person struggling in her own life journey. Brene Brown once shared a quote from Theodore Roosevelt that she says changed her life, and it has a lot of meaning to me personally as it relates to how I live my life. Motherhood is all about daring greatly, too, isn’t it? We don’t know what the future holds. We know we aren’t perfect, and we can be scared to death of something happening to these people that we love with so much vulnerability it hurts, but we keep showing up in the arena every day to do our best. That, my friends, takes courage. It’s not easy to show up and be seen. I’m a writer, but I am not perfect. I am not, by any means, the model of motherhood, but I open up. I share my life, as I see it. I feel that by being “out there” for the world to see, by being vulnerable, I show strength. Working on myself as a mother, I believe, shows the Most Important One that I am in the arena doing my best. It also encourages and supports other women to the same. I continue to put my words out there because I know that, although they help me, they might help someone else, too. They might touch the mom who is also in the arena, thinking she is alone, wiping the sweat from her brow, and daring greatly to be a mother, even though she is making plenty of mistakes along the way. And that’s the most important thing to me—supporting that mom. To me, part of crafting goodness with my words is sharing the real parts of parenting—not just the pretty ones. I’ve found that in doing that I’ve been able to help change the conversation, to lift a mother who is struggling. In the process, I’ve also transformed myself into a mother who is not afraid to let go of the idealistic mother I dreamed I would be, and instead, be a real one who isn’t afraid to share her story. 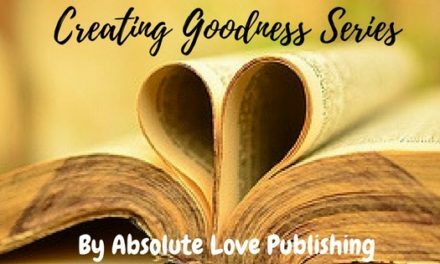 I welcome the opportunity to continue sharing that story and supporting others through my partnership with Absolute Love Publishing.